I am always looking for a sale and one of my favorite place to find great deals is Nordstrom. 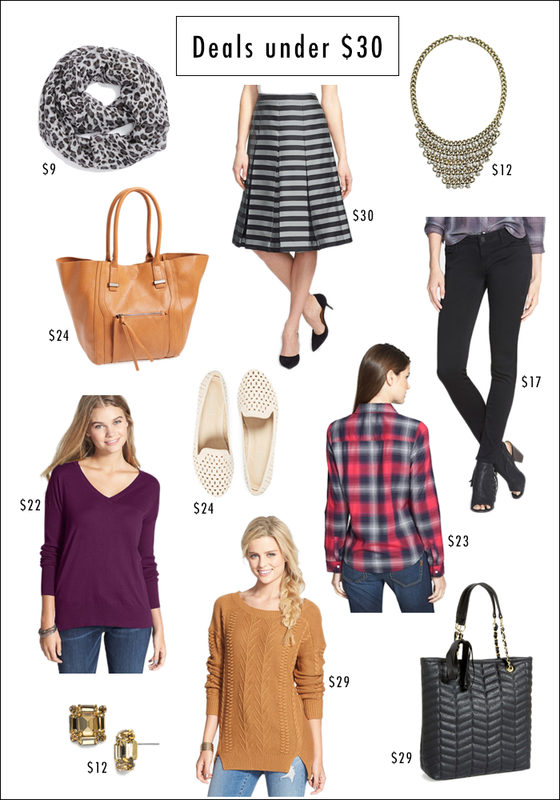 All these items are under $30 - plus free shipping both ways. I do not live close to a Nordstrom store, but for those of you that do - Nordstrom offers buy online - pick up in store (for some items), so if you want to see the item in person - it is a great way to reserve the item to make sure it doesn't sell out before you make it to the store. One last thing, Nordstrom Half-Yearly sale starts tomorrow! Follow along on Facebook for all my deal findings! Now these are some amazing deals!! Love that skirt and necklace! I know - I can't believe that scarf is only $9. Thanks, Shannon.